No matter which issue you’re facing, our professional technicians are here to help you with finding the solution. If a new door is what's needed, we're happy to take out your old one and get whatever new model you choose installed for you. We can assist you in deciding which door would suit your home's style and color best, and have plenty to choose from. Your fresh door will not only make your home look like new again, but it's bound to work far more efficiently than your older, battered one. If you're worried about storms causing trouble, we can also install a door that's more resistant to such damage. 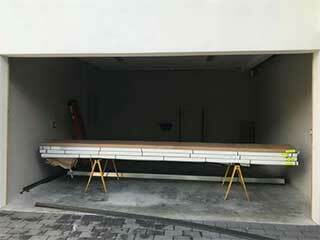 No matter what make of garage door is best for you, we can take care of it. Our trained team can also tell you if it's actually your opener that's the cause of your garage door woes, rather than the door itself. If this is the case, we can assist you there as well! We have many models of openers, from Genie to LiftMaster, and can install whichever is the best fit for your home. We want to ensure whichever type we put in will be the very finest so that you won't have to worry about the reliability of your door opening when you need it. A Door You Can Rely On! You'll be surprised what a big difference a new door or opener will make. All that running in and out to go about your daily life takes a toll on your door, which you may not notice aside from it getting slower and louder over time. Don't settle for wasting precious time as it rattles its way open or closed, instead opt for a brand new one that allows you to get on with your day. You won't regret it. There's no reason to deal with a door that you can't trust to work when you need it most. Call Garage Door Repair Walnut Creek today to schedule a time works best for you.